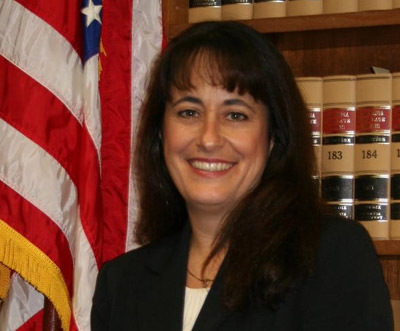 Los Angeles, CA - A Deputy District Attorney, wife, mother and dedicated member of her community, Sheila Hanson is a candidate for Orange County Superior Court Judge, Office No. 4. Garnering key endorsements from police officers, judges, government leaders and victims’ rights advocates, Hanson has a real opportunity to win the November 7th judicial election. If successful, she will become only the second American of Iranian descent to be elected to the Superior Court of California. Hanson’s father left Iran at age sixteen. He later became an American citizen and ran a successful small business in Orange County where Hanson was raised. In the early 1970’s Hanson spent time with her grandfather in Tehran and Isfahan. She currently resides in North Tustin with her husband and two children. A strong believer in public service and community involvement, Hanson serves as a Board member for the Association of Orange County Deputy District Attorneys. In addition, she has served on the Board of Directors of Winifred Campbell Professional Auxiliary of Assistance League of Tustin and Laurel House youth shelter and is active in her church and children’s schools. To qualify for a judgeship to the Superior Court a person must have been a member of the State Bar for at least five years. Whenever a vacancy occurs between elections, the governor appoints someone to fill the office. Otherwise, candidates compete in nonpartisan races in June and November of even numbered years. If only one candidate runs in June, the election is automatic without the need for a vote. When two or more candidates run in June, anyone who gets more than 50 percent of the vote is declared elected. When no candidate gets over 50 percent, the top two compete in a run-off election in November. On May 25, 2006, the Orange County Bar Association (OCBA) awarded Hanson its highest rating, 'Highly Qualified', for the position of Superior Court Judge. The review of Hanson was conducted by the Judiciary Committee of the OCBA. The process included a review of responses to a detailed questionnaire prepared by Hanson, interviews of judges, attorneys and others familiar with the candidate and a personal interview. Other candidates running for the seat, declined to participate in the process. Hanson received 49.4% of total number of votes in the three-way nonpartisan June 6th elections. She will face Orange County Superior Court Commissioner Lyle J. Robertson in the run-off election on November 7th. If elected, her top priorities include public safety and protecting the rights of innocent victims. “My experience as a Deputy District Attorney, community volunteer and mother has provided the foundation for my dedication to public safety,” says Hanson.